Nicole D. DiPiro, PhD is a Visiting Assistant Professor in the Department of Health and Exercise Science. Dr. DiPiro teaches undergraduate Human Physiology (HES 350) and Physiology of Exercise (HES 353). She received her BSEd in Exercise and Sport Science from the University of Georgia, MS in Exercise Science with emphasis in Applied Physiology from The University of South Carolina, and her PhD in Health and Rehabilitation Science from The Medical University of South Carolina. She completed her postdoc work in the Center for Rehabilitation Research in Neurological Conditions at MUSC. Her research is focused on assessing and improving outcomes following neurologic injury, in particular spinal cord injury. 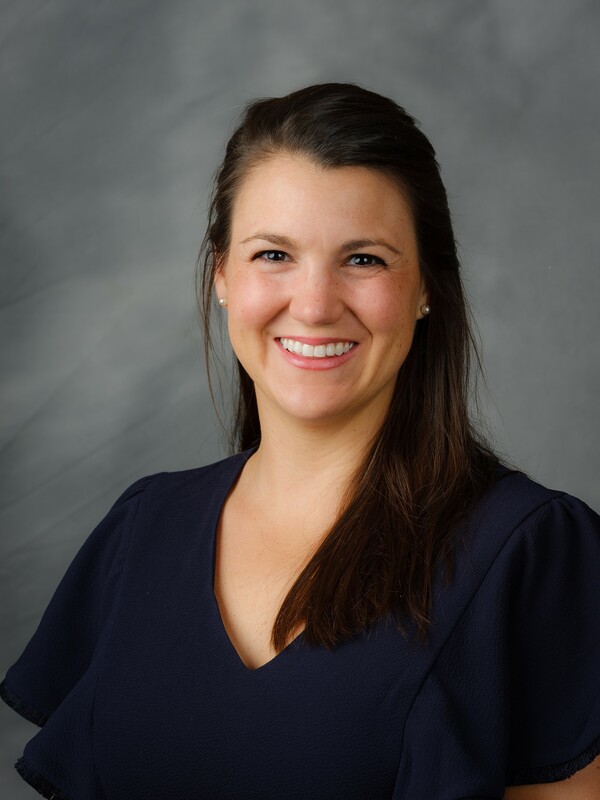 Her research interests include exercise-based interventions to improve functional and health-related outcomes, and observational research to assess health outcomes, longevity, quality of life, and mortality after injury. She is an ACSM Certified Exercise Physiologist. Li C, DiPiro ND, Krause J. A latent structural equation model of risk behaviors and pressure ulcer outcomes among people with spinal cord injury. Spinal Cord. 2017. Li C, DiPiro ND, Krause J. A latent structural equation model of protective behaviors and pressure ulcer outcomes among people living with spinal cord injury. Spinal Cord. 2017;55(2):135-140. Krause JS, Cao Y, DeVivo MJ, DiPiro ND. Risk and Protective Factors for Cause-Specific Mortality After Spinal Cord Injury. Arch Phys Med Rehabil. 2016;97(10):1669-1678. Li C, DiPiro ND, Cao Y, Szlachcic Y, Krause J. The association between metabolic syndrome and pressure ulcers among individuals living with spinal cord injury. Spinal Cord. 2016;54(11):967-972. DiPiro ND, Embry AE, Fritz SL, Middleton A, Krause JS, Gregory CM. Effects of aerobic exercise training on fitness and walking-related outcomes in ambulatory individuals with chronic incomplete spinal cord injury. Spinal Cord. 2016;54(9):675-681. DiPiro ND, Holthaus KD, Morgan PJ, et al. Lower Extremity Strength Is Correlated with Walking Function After Incomplete SCI. Top Spinal Cord Inj Rehabil. 2015;21(2):133-139. Krause JS, DiPiro ND, Saunders LL, Newman SD, Banik NL, Park S. Allostatic load and spinal cord injury: review of existing research and preliminary data. Top Spinal Cord Inj Rehabil. 2014;20(2):137-146. Cao Y, DiPiro ND, Xi J, Krause JS. Unmet expectations of adjustment and depressive symptoms among people with chronic traumatic spinal cord injury. Rehabil Psychol. 2014;59(3):313-320. DiPiro ND, Saunders LL, Brotherton S, Kraft S, Krause JS. Pain and fatigue as mediators of the relationship between mobility aid usage and depressive symptomatology in ambulatory individuals with SCI. Spinal Cord. 2014;52(4):316-321. Saunders LL, DiPiro ND, Krause JS, Brotherton S, Kraft S. Risk of Fall-Related Injuries among Ambulatory Participants with Spinal Cord Injury. Top Spinal Cord Inj Rehabil. 2013;19(4):259-266. Saunders LL, Ekoja E, Whitlock CS, DiPiro ND, Gregory-Bass R, Krause JS. A comparison of health behaviors between African Americans with spinal cord injury and those in the general population. NeuroRehabilitation. 2013;33(3):449-456. Saunders LL, Krause JS, DiPiro ND, Kraft S, Brotherton S. Ambulation and complications related to assistive devices after spinal cord injury. J Spinal Cord Med. 2013;36(6):652-659. Krause JS, Saunders LL, DiPiro ND, Reed KS. Theoretical Risk and Prevention Model for Secondary Health Conditions and Mortality After SCI: 15 Years of Research. Top Spinal Cord Inj Rehabil. 2013;19(1):15-24. Cao Y, Krause JS, DiPiro N. Risk factors for mortality after spinal cord injury in the USA. Spinal Cord. 2013;51(5):413-418.